(Mandee Pauch) WEEDSPORT, N.Y. – Aug. 9, 2016 – Just when everyone thought the race was over it was Gary Tomkins who made a last lap pass over Erick Rudolph to capture the Super DIRTcar Series Hall of Fame 100 at Weedsport Speedway and take home the $10,000 paycheck. Rudolph and Stewart Friesen brought the 30-car field to the initial green. Rudolph held on strong to position No. 1 over Friesen as Friesen worked the outside lane to chase him down. Rudolph had two car lengths over Friesen as Rudolph crept up on lapped traffic on lap 11 but was soon to be halted on lap 13 as the first caution of the night was brought out. Gary Tomkins took advantage of the lap 19 restart and gained third position from Jimmy Phelps. 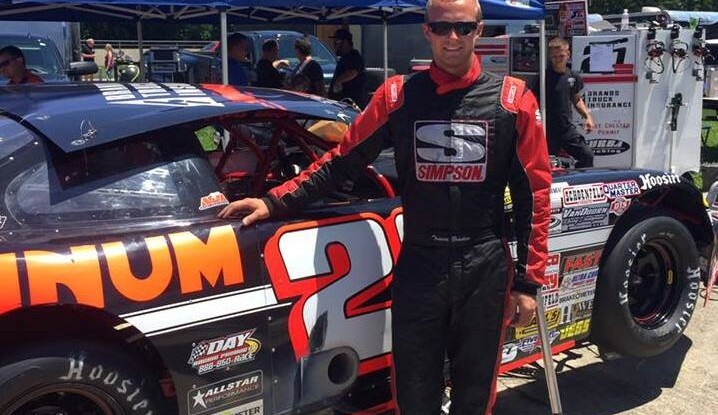 15th starter Danny Johnson made his way into the top ten by lap 30. At the halfway mark Rudolph led the way over Friesen, Tomkins, Jimmy Phelps and Matt Sheppard. Sheppard snuck passed Phelps on the bottom for fourth as Phelps pushed up on lap 51 then leaving the door open for Billy Decker to slide by Phelps to take fifth spot. Rudolph once again caught up to the back of the field on lap 58. Johnson worked his way around the outside to capture fifth position from Decker on lap 60. Phelps surrendered a top ten spot on lap 63 as he was forced to pit due to problems in the front end of his 98H machine. Tomkins slid to the outside into turns three and four and drove passed Friesen to take over second position on lap 77 and soon drove away from Friesen as he chased down Rudolph. Lap 81 saw 20th starter Pat Ward slowly advancing through the field into eighth position. Tomkins patiently inched his way up to Rudolph’s rear bumper with fifteen laps to go. Tomkins was looking to the topside as Rudolph held tight to the bottom. Rudolph and Tomkins caught the back of the field with just eight laps remaining allowing Tomkins to close the gap even more but was then halted as the fifth caution of the night was brought out, forcing the field to tighten back up. Friesen and Sheppard battled back and forth for the third spot as Johnson jumped in to join the battle as Rudolph and Tomkins pulled away from the field. Tomkins once again found the rear bumper of Rudolph with just two laps remaining as he dove to the outside giving everything he could. Tomkins made a last lap charge by diving to the outside of Rudolph and sailing away to take the Hall of Fame 100 victory. 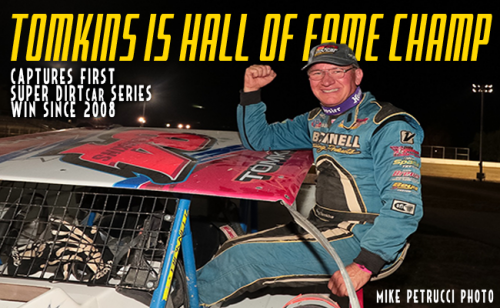 Tuesday nights Hall of Fame 100 was Tomkins first Super DIRTcar Series win since 2008. The top five respectively were Tomkins, Rudolph, Friesen, Sheppard and Johnson. “Al Heinke has done an awesome job with this facility. One thing he didn’t change was the track,” Tomkins said. “It’s been the same over the years and when the track would get slick that’s when I used to make a lot of money, in the middle of the track. When it stuck I thought, ‘lets see if we can run it like we used to’ and it did. It rolled around there pretty good. Runner up, Erick Rudolph led all laps except the very last one. He was in complete shock by Tomkins last lap pass on the outside. Stewart Friesen who is currently in a very close battle with Sheppard for the points title limped his 44 machine to a third place finish. “It’s another great night for the Halmar team. 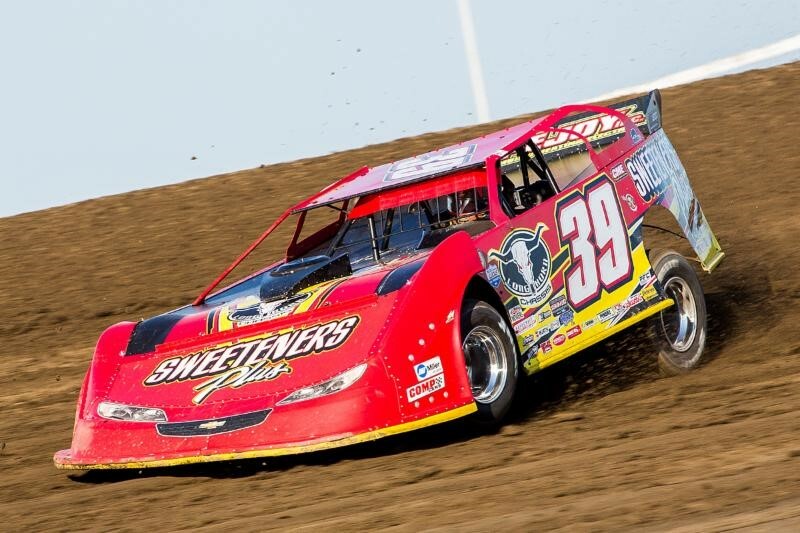 We had a right front shock blow out about halfway through so we were just hanging on there best we could,” Friesen said. Races Notes: 41 modifieds attempted to qualify. 30 modifieds started the 100-lap feature event.Billy Decker set fastest time overall in time trials with a 16.564. Five cautions were brought out during the 100-lap feature. Gary Tomkins last Super DIRTcar Series was back in 2008. The Super DIRTcar Series will be on a two-week break and will be back in action on Thursday, Sept. 1 at Lebanon Valley Speedway in West Lebanon, N.Y. for Mr. 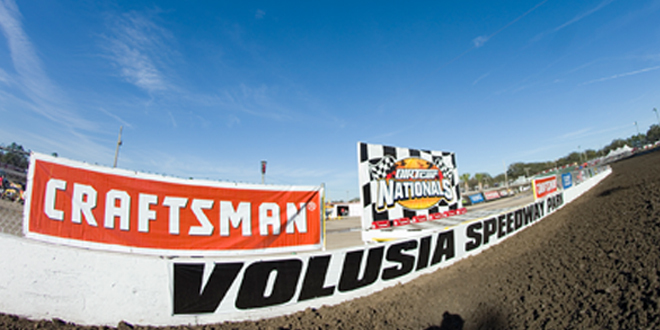 DIRT Track USA. Super DIRTcar Series Statistical Report; Aug. 9, 2016; Weedsport Speedway; Weedsport, N.Y.